Though the GOP base in Arizona is still roiled by the influx of undocumented immigrants into the state, the Obama campaign is betting that a backlash led by the growing Latino community can turn Arizona into a new presidential battleground in 2012. This is the subject of my cover story in the new issue of TIME, available online to subscribers Thursday and on newsstands Friday. 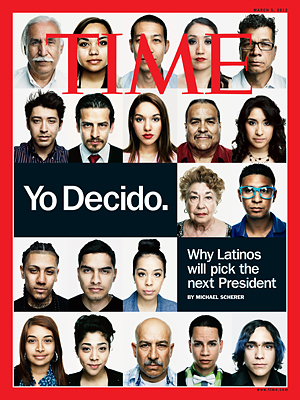 For the cover, photographer Marco Grob traveled to Arizona to shoot an amazing gallery of portraits of Latino voters .